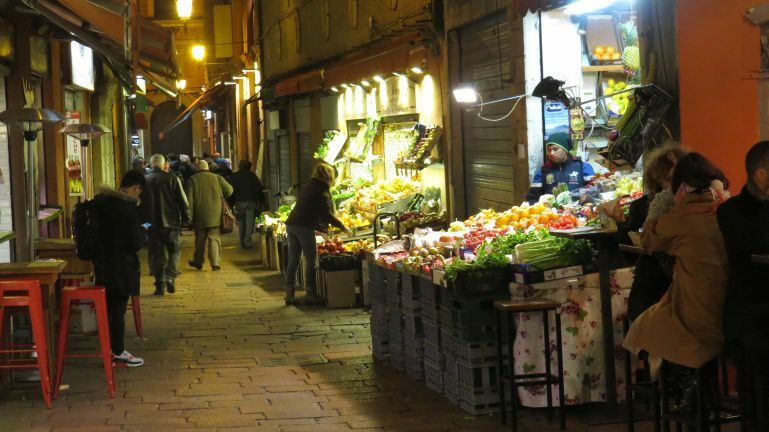 In central Bologna there are a couple of streets smattered by shops selling food or various sorts – fruit, ham, cheese etc. And not only do they sell food, many of them also offer lunch and dinner. Walking these streets really whets your appetite!